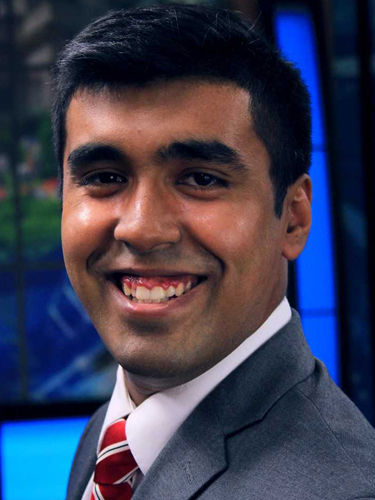 Allif Karim joined WDVM-TV in July 2018. He's always been captivated with the gravity and influence sports plays in our everyday lives and is excited to bring that same joy and chance to tell local stories to the WDVM Sports team. Allif was born in Queens, NY, but spent 10 years of his life in Bangladesh (from 2003-2013) before moving back to Jackson, NJ, to finish high school. He moved to Upper Darby, PA, before going to college in SUNY Oswego, in Oswego, NY, completing his Bachelor's degree for Broadcasting and Mass Communications. While in Oswego, he worked at his college TV station, WTOP-10 TV, where he learned everything about broadcasting from writing to producing to reporting, covering over 14 Div. III athletic teams (Go Lakers!). He also spent time working part-time as a Production Assistant at WSYR-TV in Syracuse, NY, before interning with the station's sports department for his Fall semester during senior year. He also interned with CNYCentral during his last semester. When Allif isn't following his favorite teams and sports, he's enjoying a good book, weightlifting, or trying out the local cuisine. Connect with him on Facebook or Twitter. Feel free to email him and reach out to him anytime. To connect with Allif follow him on Twitter, Facebook or email him.